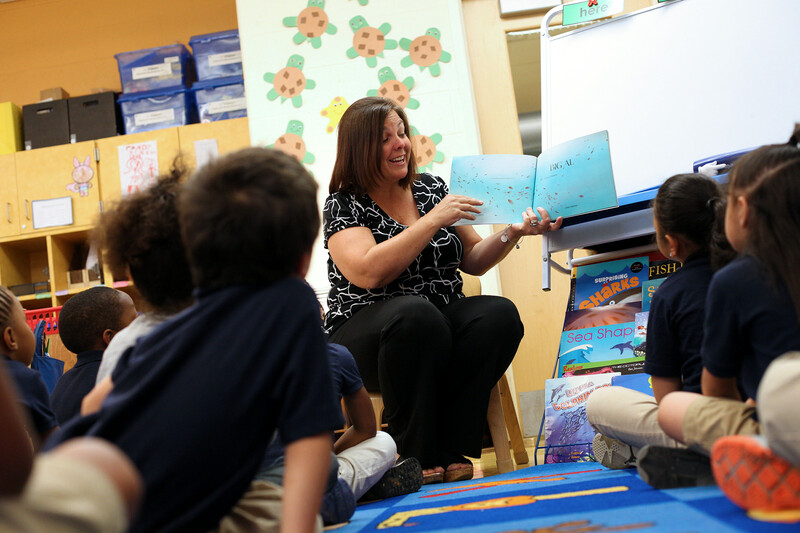 American Airlines to support the expanded delivery of CLI’s professional development services to kindergarten through third grade teachers in public schools. Children’s Literacy Initiative (CLI), a 501(c)(3) non-profit organization headquartered in Philadelphia, and American Airlines, the world’s largest airline, are partnering to help more of the nation’s children read proficiently by third grade. Employees and executives on American’s Citizenship Steering Committee at the airlines’ Philadelphia International Airport hub recently awarded CLI an in-kind donation of 1,000,000 AAdvantage® miles to support the expanded delivery of CLI’s professional development services to kindergarten through third grade teachers in public schools. CLI is accelerating its national expansion using a $19 million Investing in Education (i3) grant from the U.S. Department of Education that will span five years and serve 49,500 high-need kindergarten through 3rd grade students. CLI’s i3 scale-up project began January 2016. CLI will provide its validated professional development services to 33 schools in Broward County (FL) Public Schools, Denver (CO) Public Schools, Elizabeth (NJ) Public Schools, and Houston (TX) Independent School District. American Airlines’ donation, valued at $29,000, will count towards a $1.1 million required private-sector match that CLI must raise for the federally funded i3 project by April 1, 2016. Established in 1988, Children’s Literacy Initiative (CLI) is a national 501(c)(3) non-profit organization, headquartered in Philadelphia, that is focused on improving literacy instruction in public, charter and parochial schools to ensure that students can read by third grade. CLI’s program provides personalized coaching for teachers and principals, research-based literacy training, and the books and materials classrooms need so that students can become powerful readers, writers and thinkers. Third party research has shown that CLI professional development model can improve both educators’ early literacy instruction and also student reading achievement. Connect with CLI on Twitter @CLIupdates, on Facebook at Facebook.com/ChildrensLiteracyInitiative and via http://www.cli.org. American Airlines and American Eagle offer an average of nearly 6,700 flights per day to nearly 350 destinations in more than 50 countries. American has hubs in Charlotte, Chicago, Dallas/Fort Worth, Los Angeles, Miami, New York, Philadelphia, Phoenix, and Washington, D.C. American is a founding member of the oneworld alliance, whose members and members-elect serve nearly 1,000 destinations with 14,250 daily flights to 150 countries. Connect with American on Twitter @AmericanAir and at Facebook.com/AmericanAirlines.